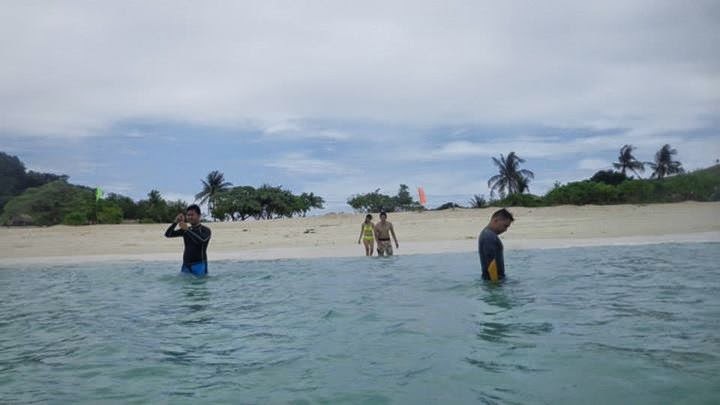 Instead of going to Calaguas DIY, my friends and I decided to book a tour with Calaguas Local. The more than half a day trip (around 13 hours by bus and boat) would be less of a hassle if we didn't have to worry about paying for the bus tickets, bringing food, bringing tents, cooking food, bringing utensils, and renting the boat among other things. 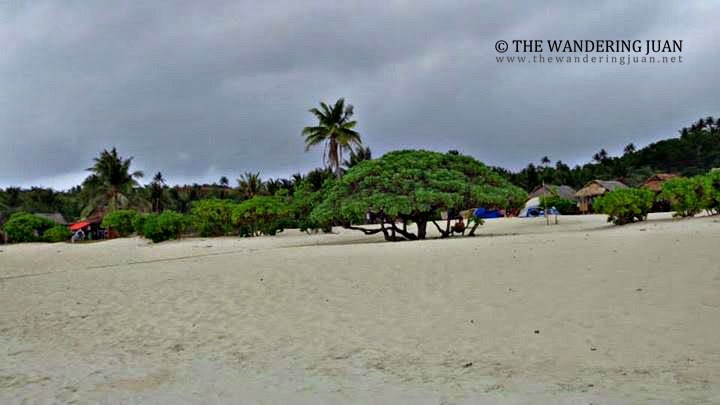 My friends and I took the P3,299 two days and one night package offered by Calaguas Local. 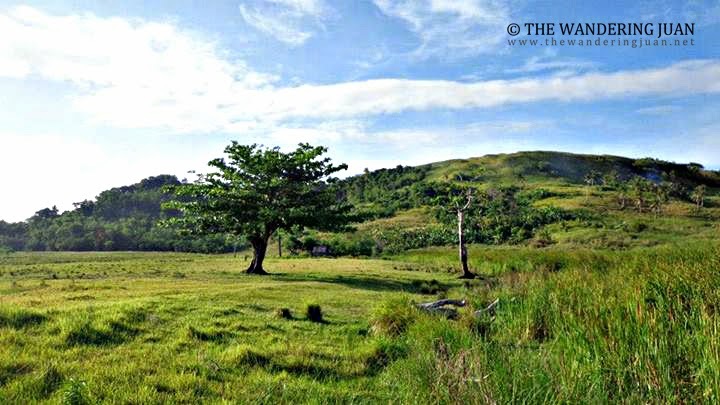 The package included: round trip bus tickets, lunch, dinner, breakfast the next day, transfer to Vinzons Port, round trip boat transfers, and tent. 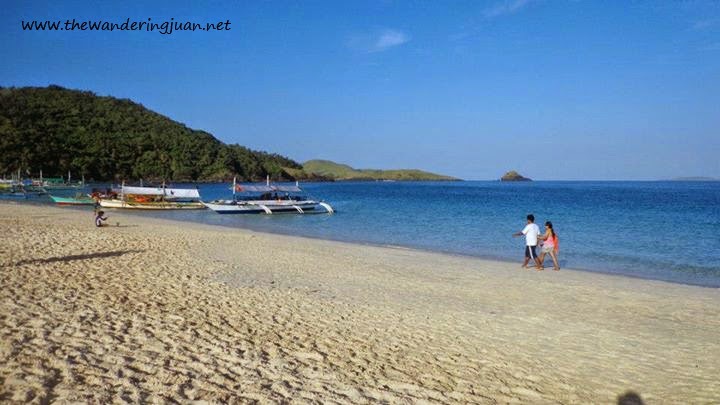 The staff at Calaguas Local was easy to talk to and they ensured that everything was ok before and after the trip. I can honestly say that I'm not very fond of LONG bus rides. I just can't sleep straight while sitting on a bus. The ten hour bus ride to Daet and another two plus hours on a boat was just grueling for me. 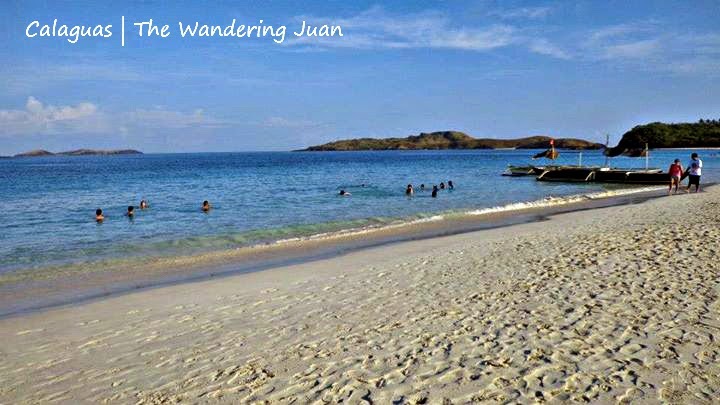 To survive the long hours on the road and sea, I kept thinking about the beach in Calaguas and how much fun I'll have. 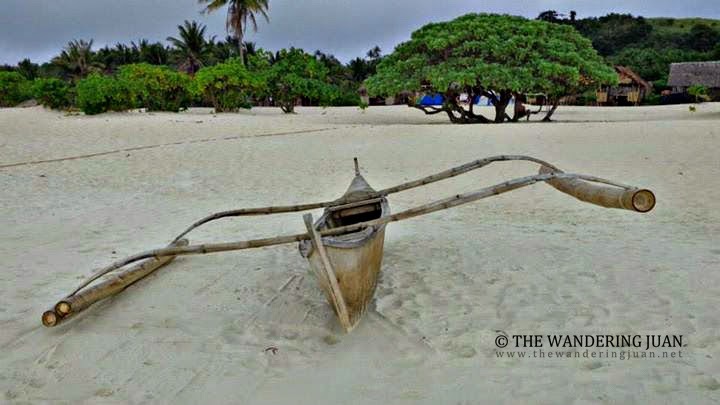 As soon as the boat got a glimpse of the shore and sea, I couldn't wait to jump in the clear waters and feel the white sand between my toes. Upon landing on the beach, I quickly felt the sand on my feet and was simply amazed at how soft and powdery the sand was. I removed my sandals and let my feet sink into the sand. The beach was fantastic, but the place was not as underdeveloped as advertised. 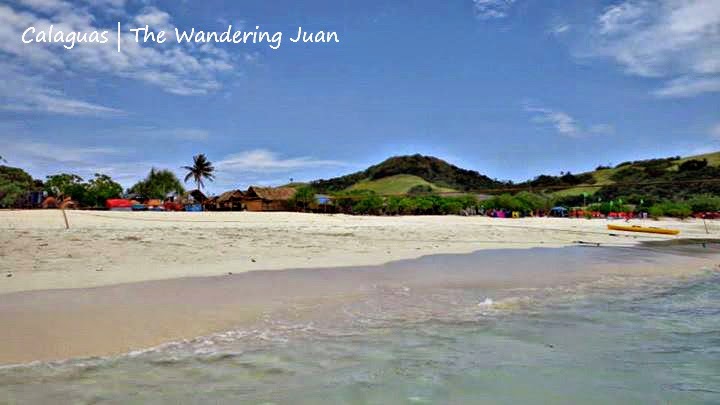 I saw plenty of stores, huts, a bathroom, and plenty of people swimming on the beach and camping on the shore. It was not the virgin island I envisioned but it was still beautiful in it's own right. I'm glad Calaguas Local kept things as close to the basics as possible. The tents that Calaguas Local gave us were spacious even for three persons in a tent. There were five of us in the group so we decided to take two tents. It was my first time camping so the experience was new to me. It rained for a few minutes while we were on the beach. After a few minutes of rest in the tent, my friends and I quickly made our way into the clear waters of the beach. 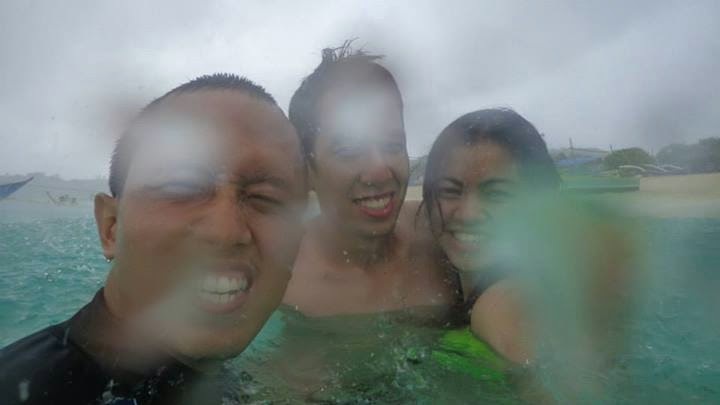 The weather was uneven during our stay. It rained for around half an hour, but the rain did not dampen our spirits. 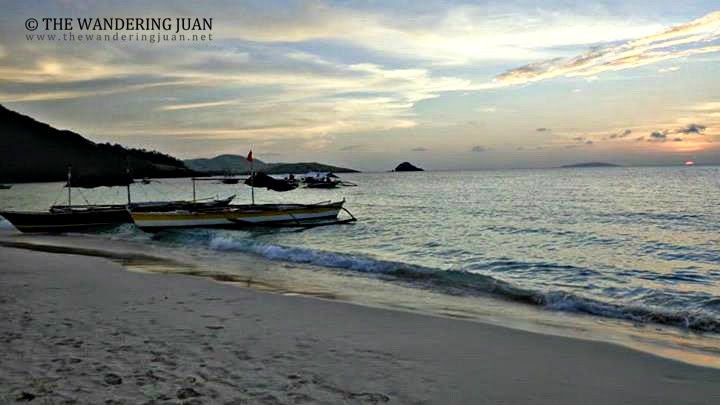 Walking and lazing on the beach were the primary things my friends and I did while in Calaguas. The beach was scenic and serene despite the developments and chaos happening around it. I would love to see this place a few years ago, without much people and developments. We waited for the rain to stop before we headed up the hill behind the beach. 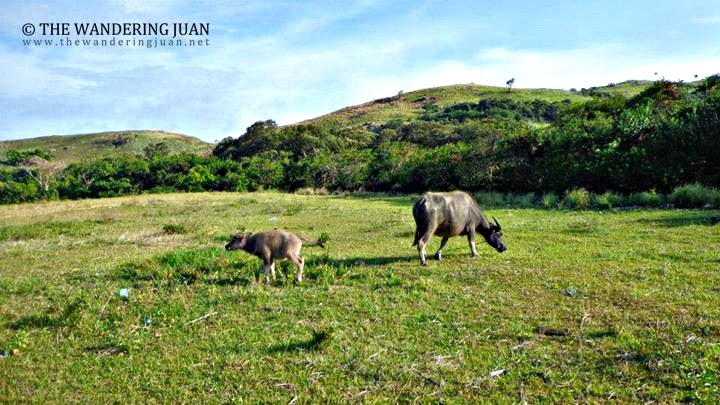 There were quite a few carabaos grazing at the foot of the hill. The view up the hill was just as scenic as the beach. There was a small community on the island. 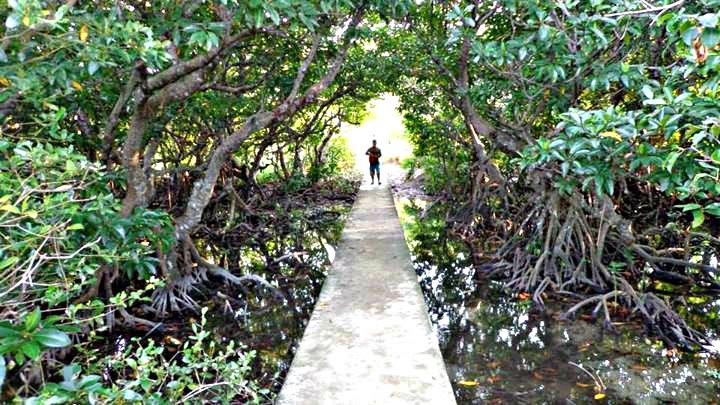 At least the tours to the island help this community earn a profit. Another highlight of the trip was the sunset. The sunset was magnificent! it was the perfect remedy after a tiring day of traveling for more than half a day. 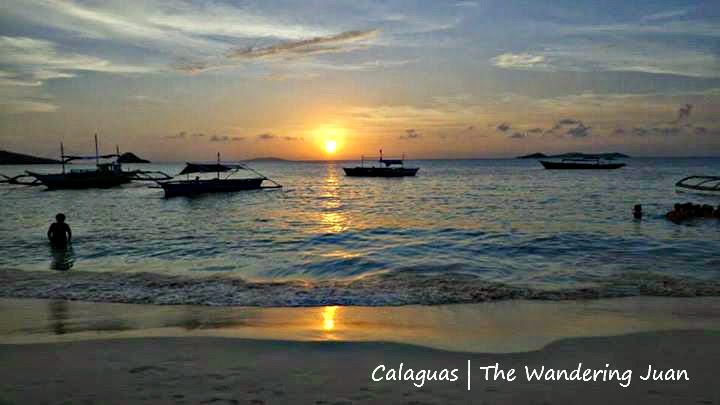 Is Calaguas worth a visit? Definitely! 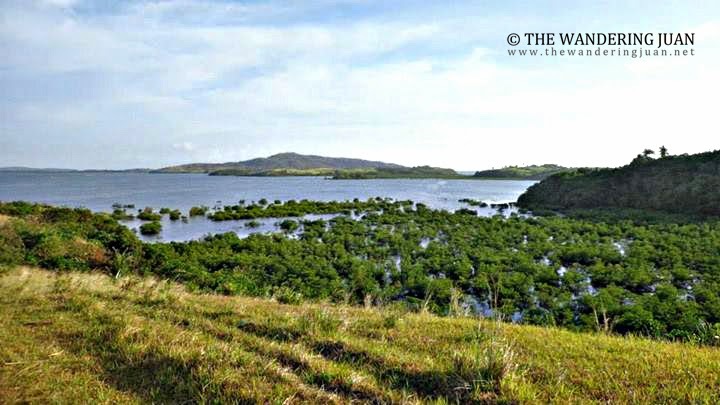 Make sure to go before more developments take place on this beautiful island. DISCLAIMER: This is a sponsored post, but all views and opinions are solely my own. 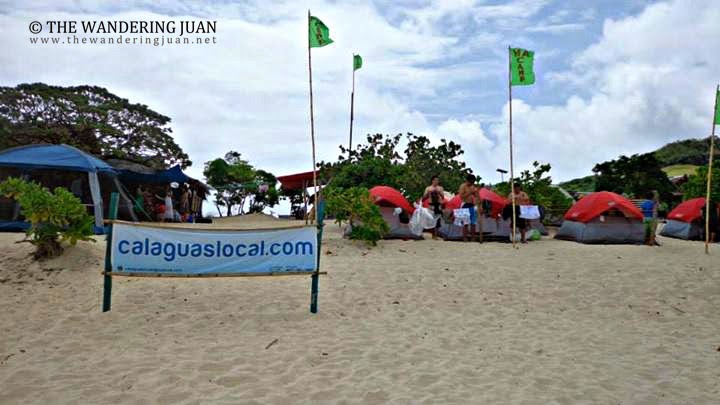 You can visit Calaguas Local for more information about the tours they offer. 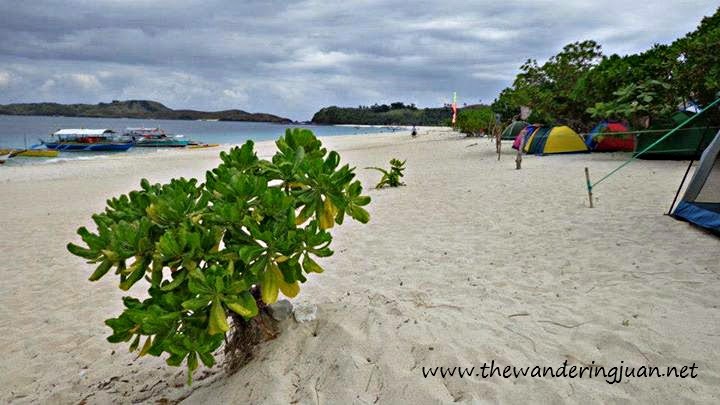 Calaguas has a nice mix of the green nature, white sands and the blue water. It looks so pristine. 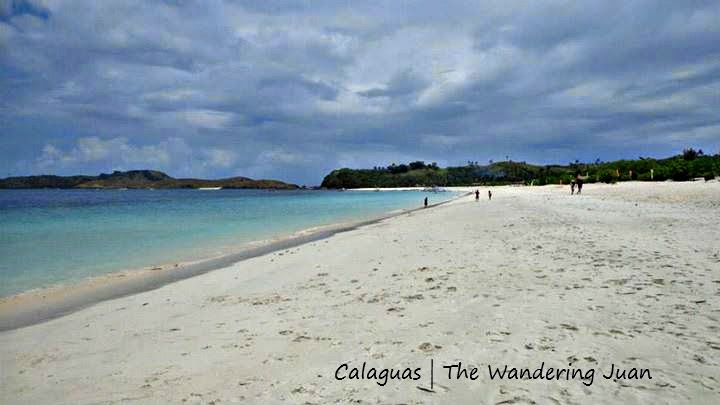 Will definitely forward this blog post to my cousin who wants to visit Calaguas soon. 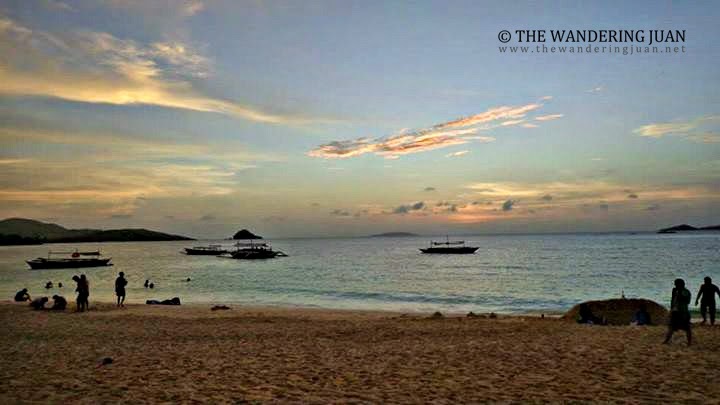 The best way to complete a beach to the beach is to spend some time enjoying the sunset. And you just did it! Wish I could also visit an island soon. 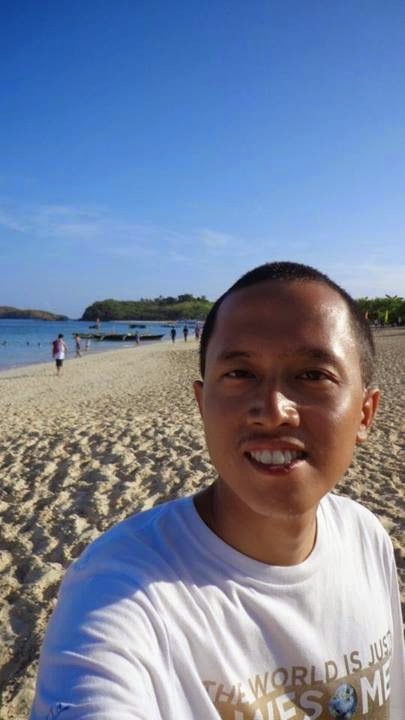 There are so many beautiful beach we have here in the Philippines. And this one is soooo divine. And to see the breathtaking views at the end of the day is so worth it to alleviate all the tiresomeness experienced. I haven't been there but it looks realllllllly goood! We'll try it soon. Thanks! Last year we went there with a group of friends. Seeing the pictures now, I think there has not been a large difference from then. 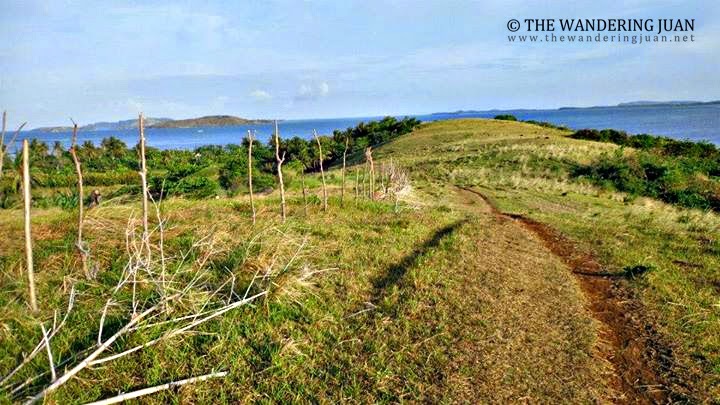 Calaguas Island though is quite noisy at night (in the other side). This place looks beautiful and inviting. Looks like you enjoyed with your friends to the hilt. nice green environment plus the beach looks amazing and wonderful the photo with rain looks nice too! 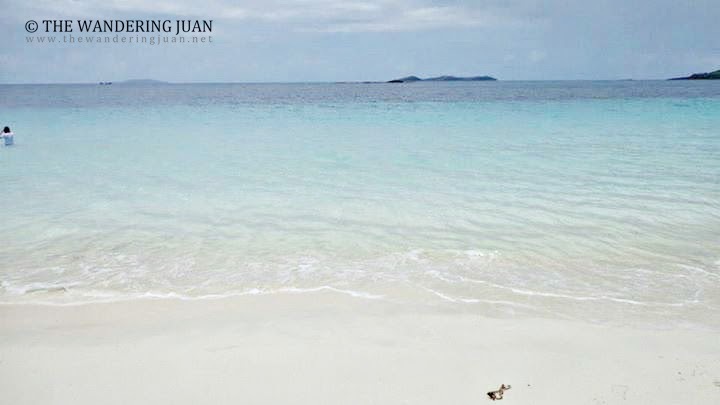 Turquoise clear water it is, it's surely worth a visit. We do hope there will be other option to get there other than 10 hour bus ride. Beautiful! How long would it take to get there from Quezon City? My children are looking for a quiet nice beach away from the throngs of people. (Boracay is out of contention). I would suggest this to them. Thanks for sharing. You've taken great justice in showing the breathtaking views of this place. It is indeed a hidden gem. Hope the local government and the residents will take care of it. 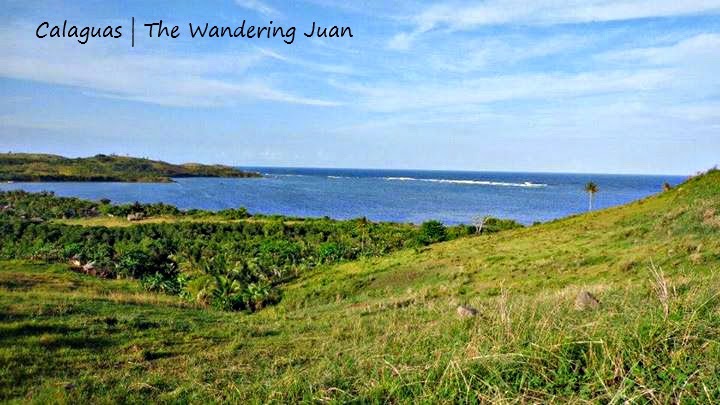 When we reach the island, it was majestic and pristine as it could be. We had 4 meals a day (heavy meals) and when we go back to Vinzons, Noly asked us to eat at their house (no additional charge) before we head out to Manila. It was an experience for a lifetime, not just because of the beautiful beach. But our tour guide is really helpful and hospitable. Hi, Thank you for this informative post. 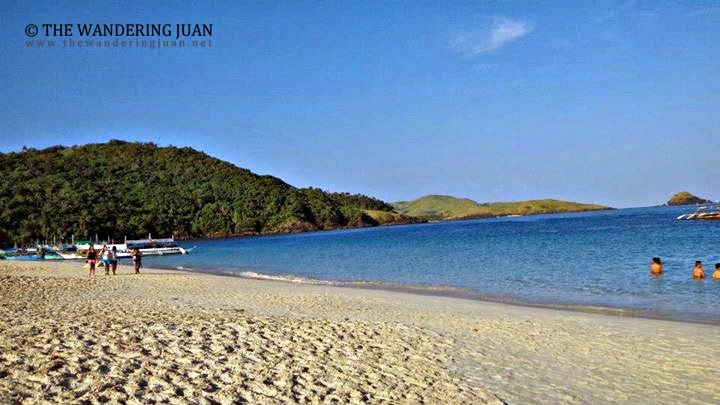 Planning to go solo to calaguas, but it's still best to go with someone. Anyone here looking for a travel buddy? please let me know, btw you may join this group in FB as well if you're trying to find a travel buddy. Just go to this link. https://www.facebook.com/groups/1642231026048917.